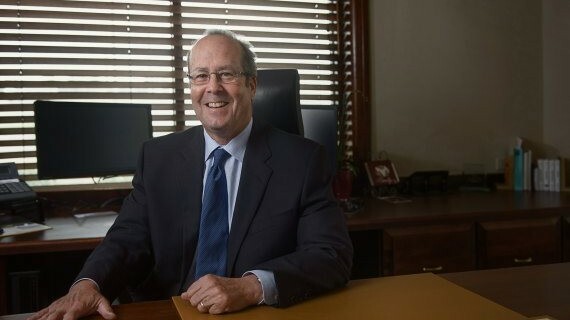 Steven M. Oxenhandler ("Steve") joined Gold Weems in 2002 and focuses his practice on employment, civil rights, and public sector defense litigation, including public sector civil service litigation and class/collective action defense. Steve is the senior litigator and team leader in the firm’s successful employment, civil rights, and public sector litigation practice areas. Successfully litigated and represented private and public employers in a wide range of employment discrimination claims, including, but not limited to, the following: age, race, national origin, sexual harassment, disability, family and medical leave, and gender claims under Title VII, the ADEA, ADA, FMLA, and parallel state law claims. Successfully litigated and represented private and public employers in civil rights cases, including, but not limited to, the following: excessive force, false arrest, 1st Amendment speech and association, 14th Amendment procedural and substantive due process , name clearing, and illegal search and/or seizure. Argued successfully numerous times before the U.S. 5th Circuit Court of Appeals, the Louisiana Third Circuit Court of Appeal, and the Louisiana Second Circuit Court of Appeal. Successfully litigated and represented public employers in civil service matters and appeals, including cases before the public employers’ Police and Fire Civil Service Boards. Successfully litigated and represented private and public employers in complex collective and class action wage and hour claims under the Fair Labor Standards Act, Equal Pay Act, and parallel state law claims. Coach and mentor to Peabody Magnet High School Mock Trial Team for four (4) years. Coached little league baseball and football. Assisted in building homes for senior citizens. "Taxicab Licenses: In Search of a Fifth Amendment, Compensable Property Interest," 27 Transp. Law Journal 113 (2000). "The Lady Doth Protest Too Much Methinks: The Use of Figurative Language From Shakespeare’s Hamlet in American Case Law," 23 Hamline Law Review 370 (2000). Presented numerous seminars and classes in the areas of employment law and civil rights defense. Steve’s varied life and work experiences before entering the practice helped him develop and refine the skills and abilities necessary to succeed as a lawyer. His background includes cotton and wheat farming and irrigation, military service as a paratrooper in the Israel Defense Forces, work as a police officer, and leading a number of large governmental agencies.